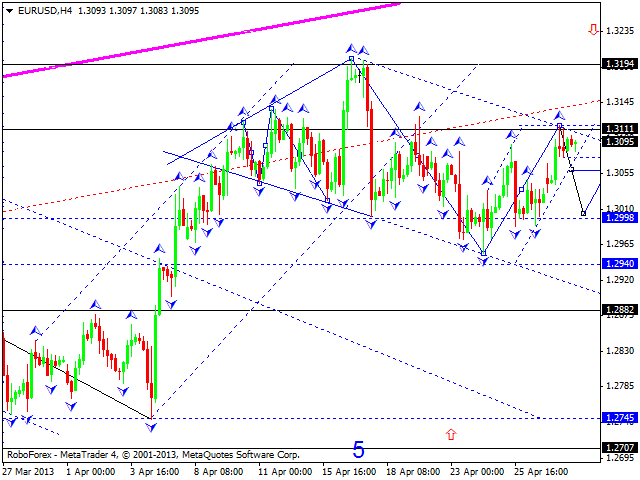 The EUR/US currency pair completed an ascending wave. We think, today the price may start forming a descending structure, break the previous ascending channel, and reach the level of 1.3000. Later, in our opinion, the pair may return to the broken ascending channel and then continue falling down to renew the minimum of this wave at the level of 1.2940. 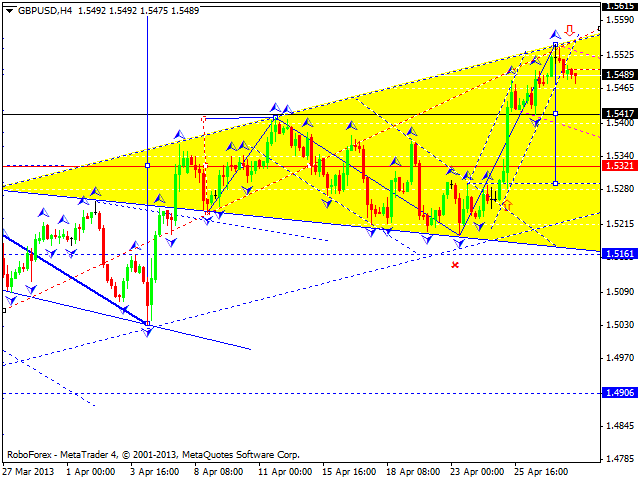 The GBP/USD currency pair broke an ascending channel. We think, today the price may continue falling down towards the first target at 1.5420. Later, in our opinion, the pair may return to the broken ascending channel and then continue moving downwards. 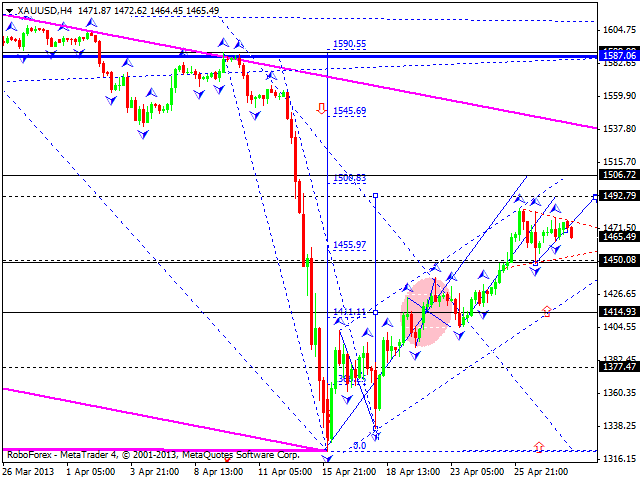 Thus, the market is expected to for a correction towards the level of 1.5300. Franc is still forming a descending wave. 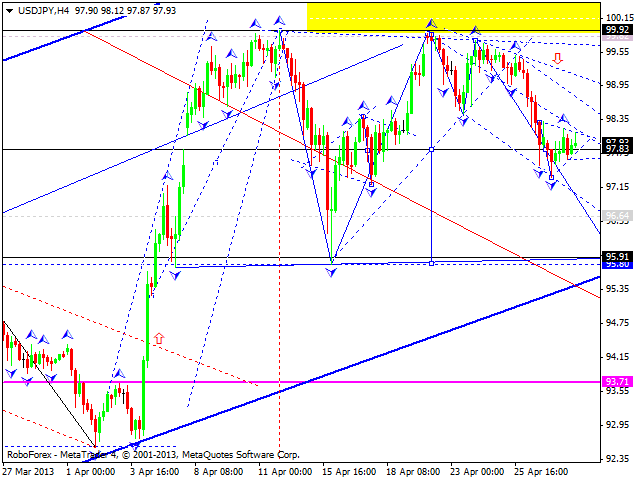 We think, today the price may complete this correction by reaching the target at 0.9350. Later, in our opinion, the pair may start forming the fifth wave to renew the maximum of this wave at the level of 0.9570. The structure of this wave may define a more exact target. 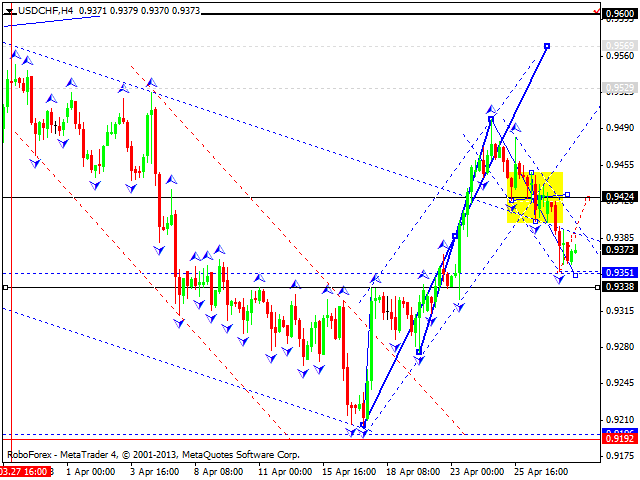 The pair may expand this wave up to the level of 0.9600. The USD/JPY currency pair continues moving inside a consolidation channel, which looks like divergent triangle pattern. We think, today the price may leave this channel and continue falling down towards the level of 96.00. Later, in our opinion, the pair may form one more consolidation channel to break a daily ascending channel and form a descending wave with the target at 88.20. 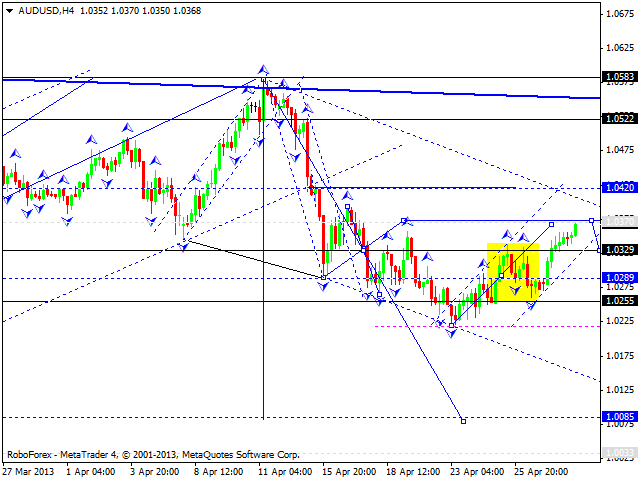 Australian Dollar is still being corrected towards the previous descending wave; the target is at 1.0370. We think, today the price may reach the target, start a new ascending movement up to the level of 1.0420, and then form another descending structure. The main target is at the level of 1.0085. Gold is still moving inside the third ascending wave; right now it is forming a consolidation pattern. We think, today the price may leave this pattern to reach the target at 1490 and then start forming a descending correction to return to the level of 1415. Later, in our opinion, the instrument may form another ascending wave, the fifth one, with the target at 1500.